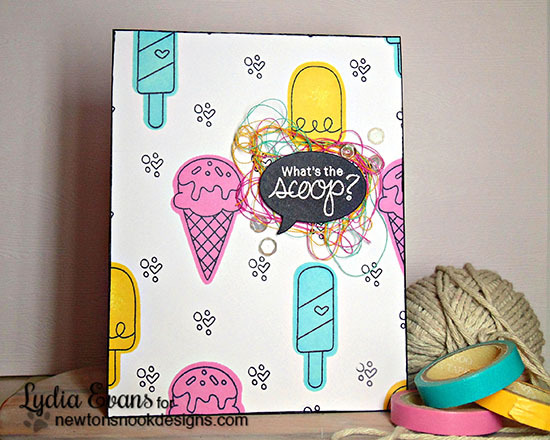 Newton's Nook Designs: July Reveal Day 2 - Summer Scoops Stamp Set! 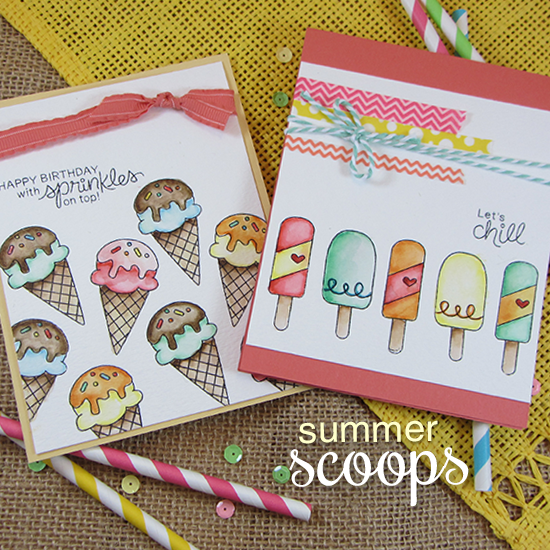 Today is our REVEAL DAY 2 for our July Release featuring our new Summer Scoops stamp set. We are giving the stamp set away to one lucky winner so make sure you read all the way to the bottom of this post to see how to win! Celebrate summer with ice cream, popsicles, and more! 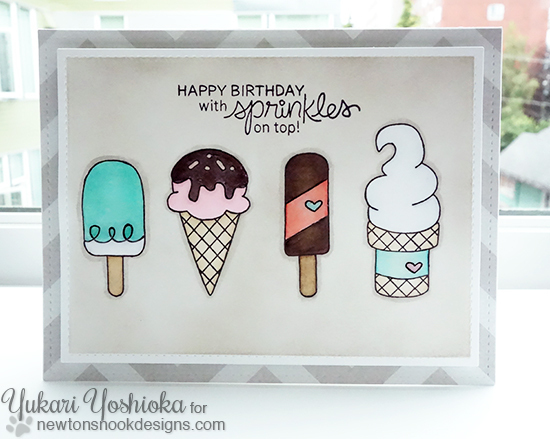 This 4x6 stamp set is jam packed with fun frozen treats that are perfect for friendship cards and birthday wishes! 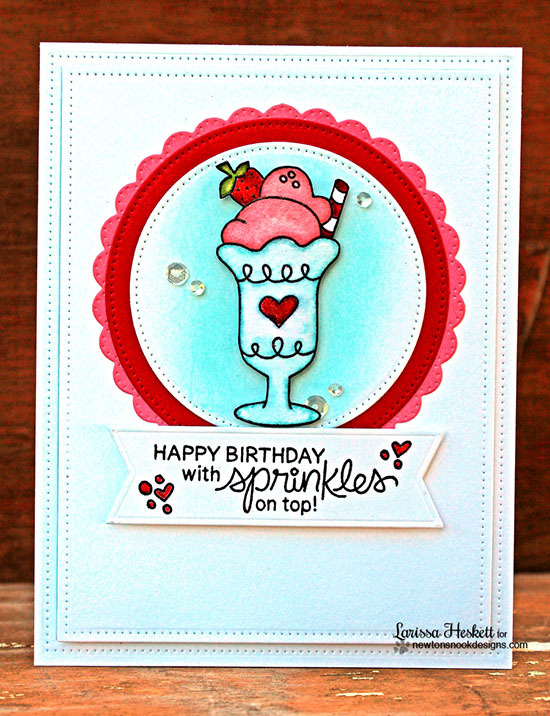 What a better way to celebrate a birthday than with sprinkles on top! There are so many yummy sweets in this set it’s going to be hard to choose which ones to stamp first! Here's a YUMMY birthday card by Yukari! Which treat would you choose for your birthday? 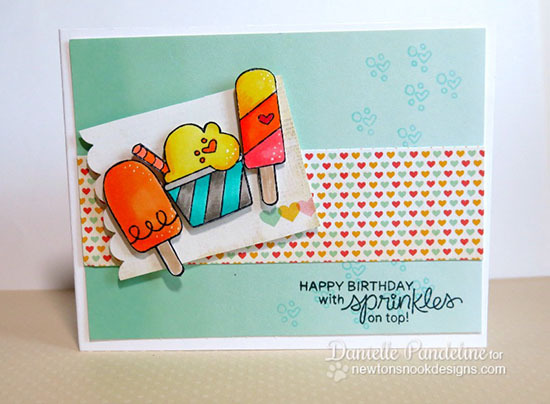 Check out the awesome masking on this card by Kimberly! Love the added glossy bits too! 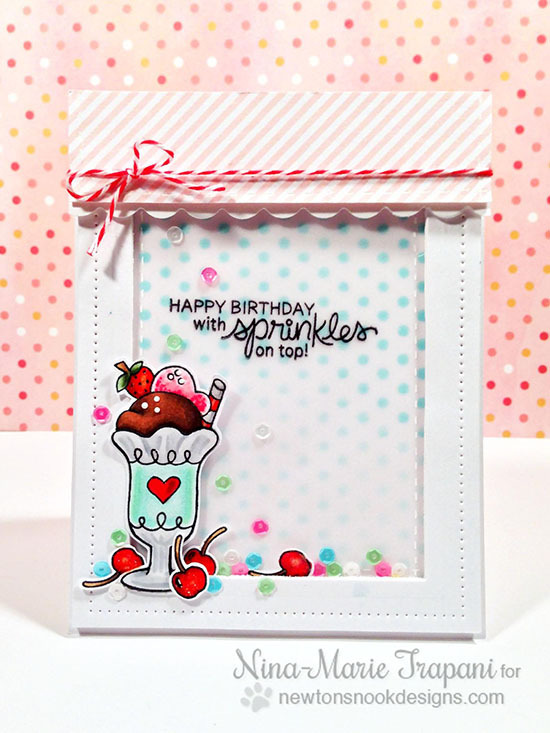 Nina- Marie created this yummy shaker card with some extra cherries inside the shaker too! Mmmm.... a yummy duo of ice cream cones by Samantha! Love the blue and pink cone bottoms!! 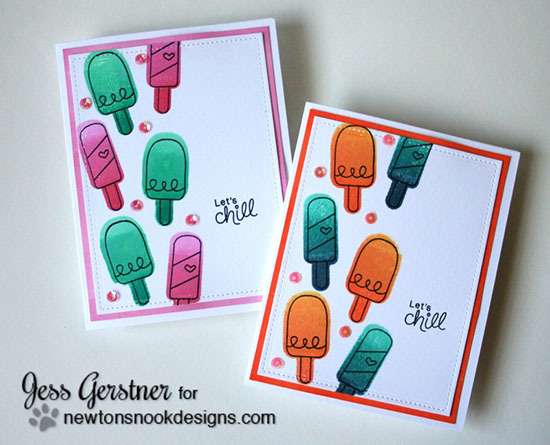 Here's a fun way to make quick yummy ombré cards with this set by Jess! 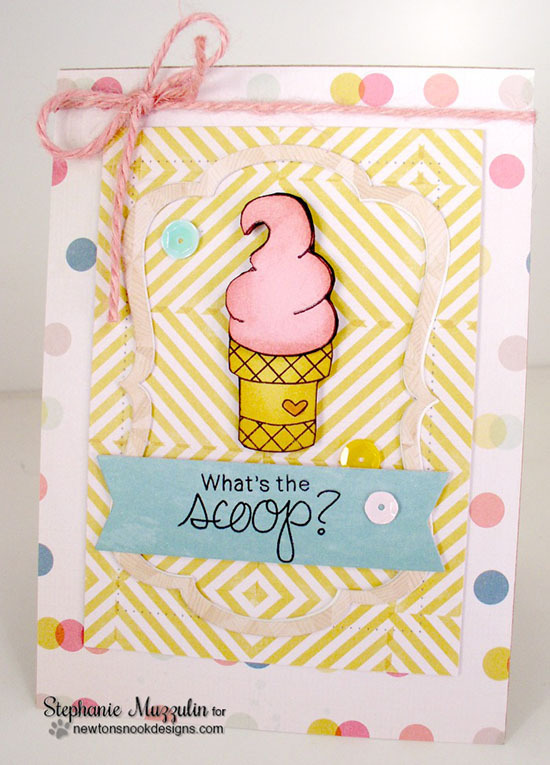 What sweet ice cream card by Stephanie! I love the sugary colors and the fun bit of yarn! 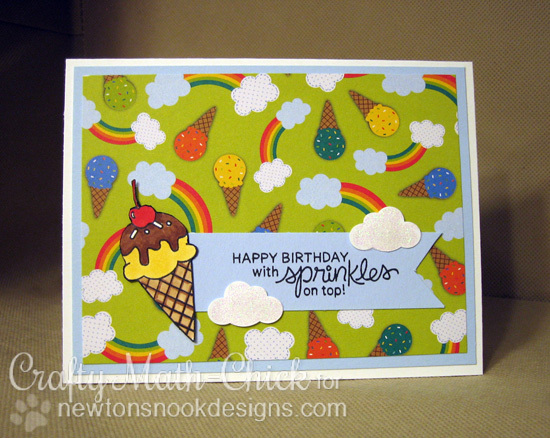 Here is a cheerful card by Crafty Math-Chick with such fun bright colors and rainbows! 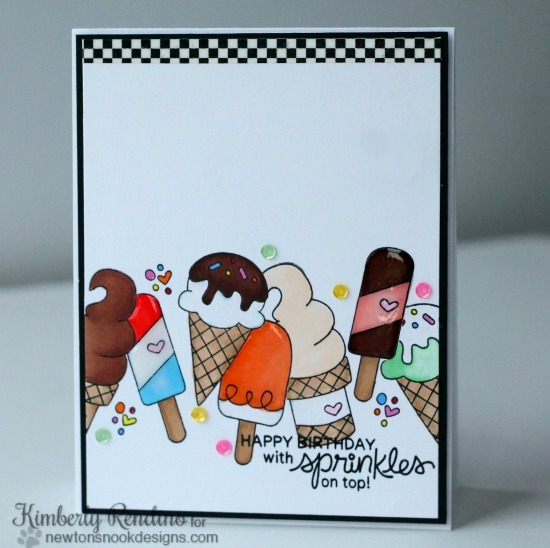 This is such an adorable card by Danielle - love all the added detail on the ice cream treats! This ice cream treat by Larissa looks good enough to eat! Lydia created this fun card! Such pretty summer colors! 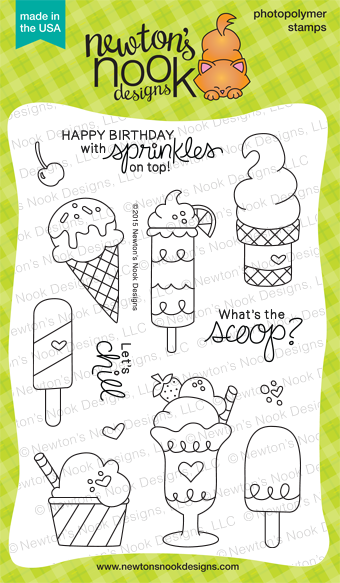 Would you like to win the “Summer Scoops” stamp set? Comment on the NND blog and Design Team blogs (see list below)! The winner will be chosen at random from the collective blog release posts. Make sure to check out each of their blogs and comment for your chance to win. You will not know which blog has been chosen so the more you comment on the better your chances are of winning! You have until Thursday, July 16th at 9pm CDT to comment -- winners will be announced on the blog post on Friday, July 17th. Give us feedback on which stamp set you'd like to see have coordinating dies and be entered to win! You can enter once a day until Sunday! You can enter this giveaway here! The ice creams look beautiful! I'm wanting ice cream now! All of the cards are darling! I love this new stamp set. Oh wow! Love this set! And all the designs created from it! SO much fun and the perfect summer set! Yum! Another COOL release! And perfect for Newton... my kitty always loved ice cream!! this is a cute stamp set. Ice cream is something that can be used for all genders and all ages. So cute!!! LOVE it! Top of my wish list for sure! The design team did an amazing job with this sweet summer set! wow what a yummy release! Such yummy projects showcased and that set is adorable!!!!! I ADORE and LOVE this cute, unbelievably adorable set!!! What cute things your designers have made with it - cannot wait to hop through all their blogs!!! Thank you for such WONDERFUL products!!! SO excited!!! Now if this doesn't make me hungry for ice cream, I don't know what will lol! LOVE this stamp set.....there just isn't a stamp set you make that I don't absolutely love! Everyone's cards are just too sweet! Great job teamies!! This is such a cute stamp set! I love the images! Very cute and yummy set. So many fun card ideas! Love all those goodies! Cutest set ever! Love the inspiration, DT you all rock! Such a fun (and yummy) set! OMGoodness, these sweet treats are adorable! Your cards look amazing! Off to do the hop now! All of these cards are SO pretty! Love this stamp set. Thank you for sharing. This new set is perfect for summer! !1 yummie! Mmm...this ice cream set says: sweet,cool,delicious,yummy ice cream! I just can't wait.The cards were so awesome,fabulous and very creative!Thanks for sharing. These desserts are perfect for summer and for a child's birthday, too! LOVE it! Se cool and fresh for hot summer days!!! This stamp set is the cutest & a must have! Skip the wish list! Every card in this post was a hit!